Just a short thought on the approaching season whilst I drink beer and eat cheese on holiday. Although the last couple of weeks have been far from optimum training, I think I have done enough cycling, walking and running to maintain my hard fitness work over the last month. Importantly I hope to be fully rested for the next block of training and racing. I’m pretty chuffed that I managed a sub 25 min 5k whilst on holiday…. 22 mins 39 seconds to be exact. Evidence is here. I plan on getting some races in when I get back to the UK and get speed in my legs! Watching the classics has really got the enthusiasm going for some racing. 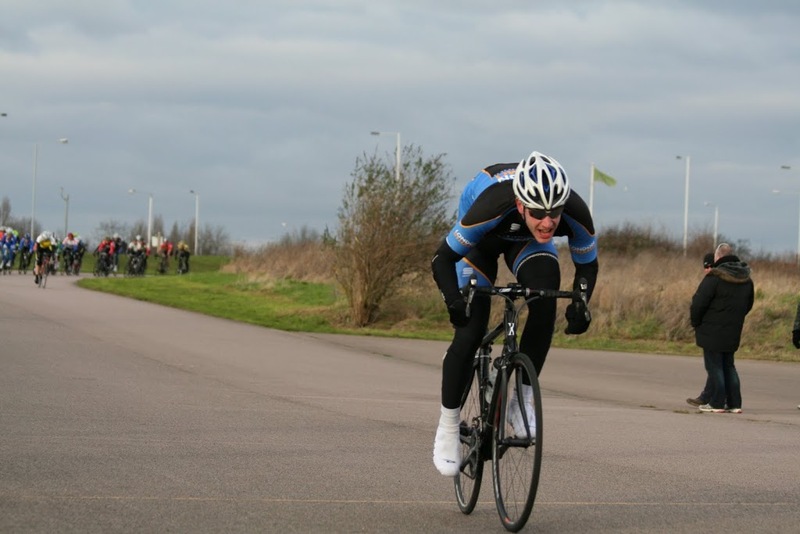 I also plan on doing my first time trials in April and see what is achievable on my road bike for a 10 mile TT. I’m so ready for the clocks to change and the weather to improve. I have a draft post on my personal lessons learnt over the winter that I’ll upload shortly. 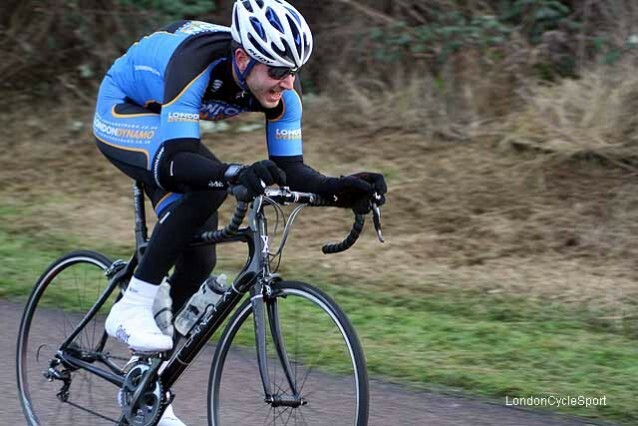 Last week I decided to race with the E123 rather than 3rd cat race at Hillingdon. My hope was to get involved in some faster, more tactical and aggressive racing. The race was pretty aggressive at the beginning with lots of attacks going off, to which the bunch was very responsive. I attempted to get into breaks, but nothing lasted anything longer than about 1 lap. My biggest mistake of the race was trying to mix it up at the front end way to much, way to early. I thought a break would stick at some point and I wanted to be in it. So I nervously tried to get involved with as much as I could, pretty much without any tactics. Anyway, by the split happened I was completely cooked. The selection of (I think) 8 guys up pulled away and fought it out between them. 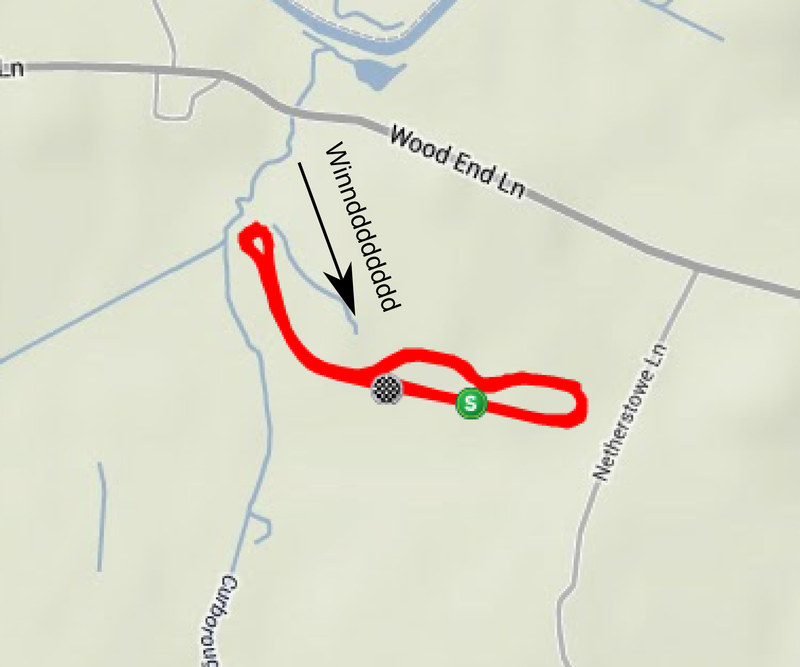 The race write up is available (here). Burning matches – nothing else…. I backed up my earlier match burning by dangling off the front of the remaining bunch for about a 1.5 laps when the 3 lap board went up, well and truly emptying anything I had left in the tank. This made sure I had absolutely nothing left for the sprint…. just rolling over with line with the remaining bunch. Now some positives! (or one positive) …. I finished the race, which is always a good start. My race was pretty uneventful, but, the comparison to 3rd cat is interesting to me. The race was much more tactical and aggressive. The pace is higher and often lines out into single file so it is much harder to just sit in and sprint at the end. I love breakaway riding, and there is much more opportunity for this in the E123 racing (not that I will necessarily be able to get in it, or stick with it). The danger for me is going to hard in attempting to break away, going into the red, and then being dropped when the bunch screams past and I’m desperately trying to recover. This is not the case in the 3rd cat races, where when the bunch catches a break the pace drops significantly and there is not really a counter meaning its fine to slot in and recover. This also means that the race often finishes in a bunch kick with lots of fresh legs… again, not the case with E123. For my Australian readers: The comparison of E123 racing to 3rd cat its the same as the type of racing you get when you compare A grade to B grade. So I will race E123 criteriums throughout the season, and attempt to get enough points to reach 2nd cat. But I’ll stick to 3rd cat ( or 2/3) road races. I’m driving down from Birmingham to London for the weekend with the plan of getting down in time to ride to the track. Half way into the journey I pull over to refill my windscreen wash (road salt was made this neccessary). I pull over at a petrol station and go to the boot which is locked.”Thats weird” I think “must be the central locking playing up”. So I press the central locking button and head to the boot again. Its still locked. Go back to the car. Doors are locked. “S**t” I think. Anyway… Mum comes to the recsue 2 hours later with a spare key. Thanks Mum! End up going straight to the race, and all is well. It was refreshingly warm at 6°C, when compared to the recent baltic conditions we’ve had in Birmingham. However, it was very windy which I need to point out in order to justify my failed tactic decisions later. I have split the race up into sections as shown on the race data below, and I’ll go through each section. This is my perspective of the race and it will obviously be quite different to others racing on the day, but I hope it gives you a good insight. Below are a few links relating to the race, pics, reports and data. 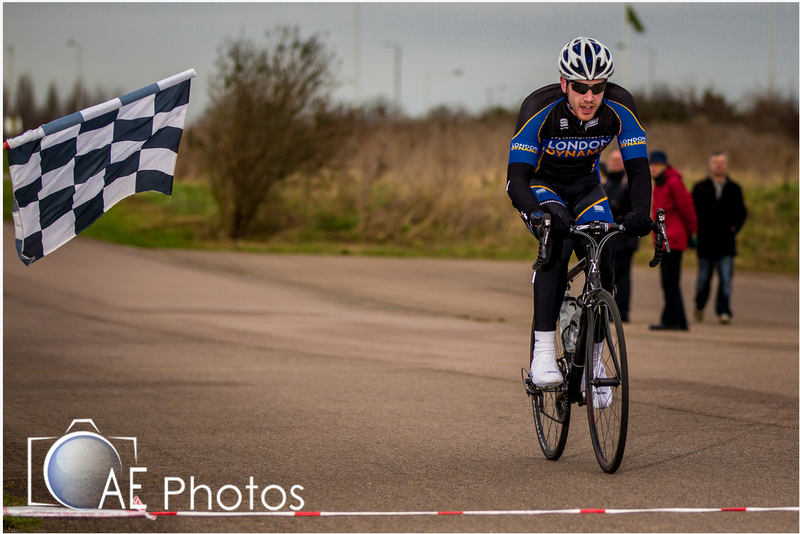 Race report – Imperial Winter Series. Coming…..
As usual the bunch was very enthusiastic at the start with lots of attachs and surges. I decided to stay up the front but not get in any moves so early on. As things usually work out, the early break gets caught and I was hoping to pu in a counter attack after the catch. Two guys got away early on, and their gap grew. I didn’t see this as a threat since it was in the first 10 minutes of racing on a very windy day and there were only two of them…. but they never came back. I decided to wait and see what the bunch would do, whether we would organise a chase or not. The race ended up being extreemly negative, with attacks being instantly neutralised and rolling turns being short lived. The negativity was aided by some team tactics which disrupted chases and ruined any breakaway rythms. This is pretty standard, but it was very annoying… a rant for another time. I tried several attacks to get away and attempt to bridge the gap, but each time this was neutralised by the bunch. So, I settled in for a while longer with the hope of attacking a tired bunch later. All meanwhile the gap to the breakaway was widening. I started attacking again, being pulled back in by one rider each time. This made me progresively more frustrated and a few choice words were exchanged. I guess its all fuel for the fire and after a few more attacks I finally managed a gap. I didn’t stand a chance of closing the gap to the breakaway (now way out of sight even on the main straight) so I was just trying to stay ahead of the main bunch. This was a pretty painful exercise, holding about 40 kmph in the strong winds (same as race average) looking at my heartrate I was suprised I didn’t explode…. But it worked and I got a solid third place. Good damage limitation considering my failed tactic decisisons. Overall I am please with my fitness at this stage. Still a way off to the season proper and I have not done anything above threshold since early November. It was actually quite a shock to the system to ride so hard. I will make to transition to intergrate more above threshold training in the next couple of weeks.